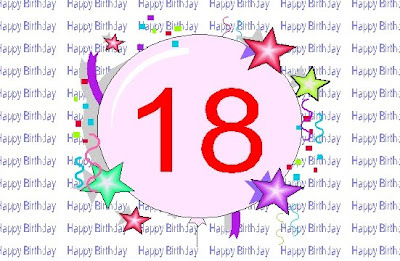 It is hard to believe but my baby has turned 18 today! Doesn’t seem like it could have been that long ago but his size does prove I haven’t miscounted. Contrary to all the dire predictions, I received from friends and family, that sweet little baby didn’t grow up into a rebellious, surly teenager. He is not spoiled nor is he a “moma’s boy” (always meant in a negative sense). Although he is getting fussed at all the time, because he is constantly rough housing, tickling, and throwing around his little four year old brother, who loves every minute of it, but it can become loud. But then again how many 18-year-old boys even pay attention to younger siblings? He has grown from an eight pound premature baby (yeah, he was big) in NICU to a 6’2” 160 pound man. I can only remember a handful of stressful times with him. Surgery at 4 months and again at a year. The time he used liquid dish soap instead of dishwasher detergent in the dishwasher. When he set the garden tractor deck on fire with dead grass in the pasture and left it burning to come tell mom! He was my guinea pig when it came to parenting and homeschooling but thankfully, he seems to have survived even with too much of both at times. He still talks with his moma. He works hard and is a valued employee at his office. He takes pride in his work and doesn’t do just enough to get by. He is a wise steward with his money by sharing, saving and making wise decisions. He repairs and helps everyone with their computers, even working hard to communicate in English instead of computerese. He works hard to serve at church by doing sound, audios, videos, and whatever else comes along to do. He willingly tithes in time and money and often in ways that no one notices. He has a maturing faith that will prayfully continue to grow.